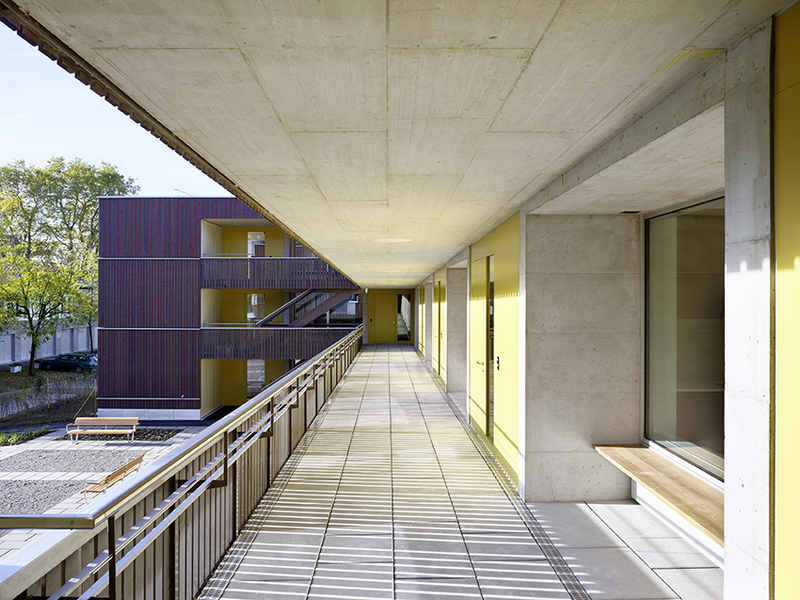 Cities Connection Project | SENIOR APARTMENTS ETZEL. STÄFA. 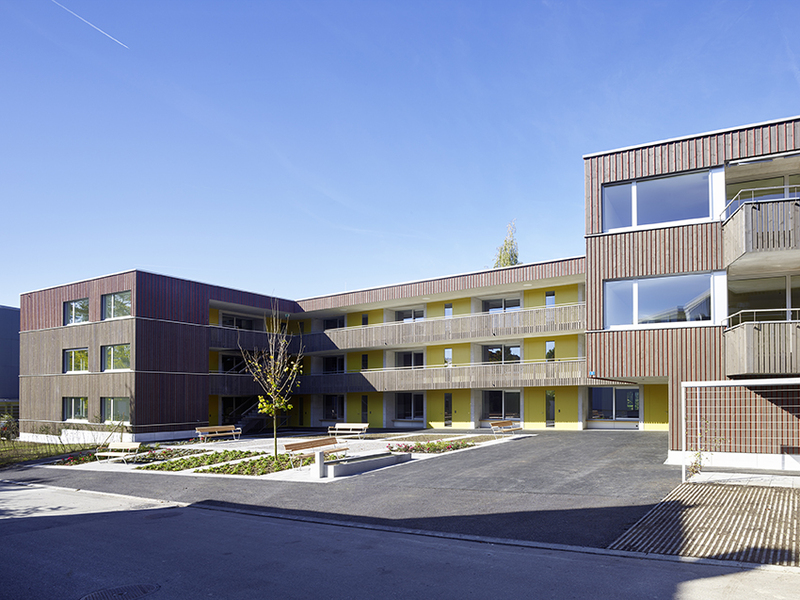 As addition to an existing nursing home, Ernst Niklaus Fausch has realised a building in composite construction with 28 senior apartments and a community room. The site lies close to lake Zurich, on slightly sloping Lanzenweg, where the original village structure provides a picturesque setting. The three-storey building volume which follows the gentle slope of the hillside, absorbs the spatial structure of the area and responds naturally. It subdivides the surrounding space into a public access-side, and a private dwelling-side. On the access-side, a common garden with forecourt forms the address to the home for the elderly. The deck, open to the common garden, provides both access to the apartments and a versatile living/meeting space. On the dwelling-side, a greenbelt of grass, hedges and trees creates a filter to the surrounding residential buildings. The tension between commonality and individuality is continued in the floor plans of the apartments. The living/dining area spans a zoned-space between the deck and balcony. Attached are the individual bedroom, bathroom and entrance area. The exterior facade utilises timber cladding articulated in a variety of ways. The bottom two storeys are clad in vertical boards with wide joints, backed by different coloured battens; on the top floor, cladding with coloured cover strips is used. The balustrades of the deck and balcony have open joints. The facade lying behind the balustrade is furnished in wooden paneling of furniture quality, thus the differentiation between public and private is continued through to the materialisation of the facade.